Xerocon Brisbane 2018: Meet Our Team and Win the Lottery! In September 2018, we’ll be attending one of our favourite and most important events of the year: Xerocon Brisbane. We’ve already explained what we’re most excited about when we touch down in Brisbane in this article. And in this blog post, we’re going one step further, introducing you to some key team members who’ll be in attendance, sharing what’s in store at the Precon Party, and inviting you to take part in our raffle. If you’re visiting Xerocon Brisbane, stop by and say hello! We’d love to meet you there and explain more about how ApprovalMax can help you and your clients. Just like many other industry conferences, some of the most meaningful conversations at Xerocon take place during the networking events. That’s why we’re so happy to be one of the sponsors of the outstanding Xero Precon Party 2018, presented by Practice Ignition. This should be an epic event to kick-start the Xerocon week in style, with 800+ accounting firm leads invited. There’ll be prizes, VIP guests, and a 4 hour UNLIMITED bar tab – it’s not to be missed! Will we see you there? Reserve your place now. Helmut Heptner: Why do you keep coming back to Xerocon every year? It is great to be part of the Xero community and I look forward to coming to Xerocon every year. It’s one of the best places to meet up with our clients and partners to hear about how their business is doing. It’s also a great chance to build relationships and get to know new people from the industry. We’ve made important connections that have resulted in many successful partnerships and new clients for ApprovalMax. That’s why we keep returning Down Under every year, and we are looking forward to another happy visit to Brisbane in September. Konstantin Bredyuk: Why should you meet the ApprovalMax Team at Xerocon 2018? We continue to grow and develop our product, and Xerocon is an amazing place to keep our customers and partners informed about what’s going on with ApprovalMax. 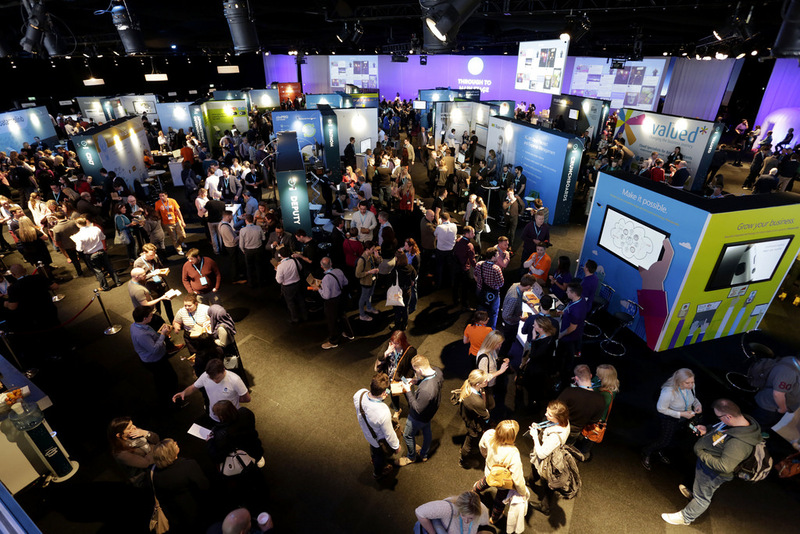 They might not necessarily be aware everytime something new is released, and attending Xerocon is a great way to reconnect. We are also very excited to meet new people and explain the value of our app for their app stack – i.e., how we can help them improve their business and give them a new perspective into a better way of doing things. If you have any questions, or would like to know more about our product, we’d be happy to meet you and tell you more about ApprovalMax. Come along and ask your questions! Dmitri Shindyakin: What is the ApprovalMax lottery? That will be my first Xerocon and I’m so excited about it! I’m looking forward to experiencing the atmosphere, passion and energy in the Xero community. To make it even more fun, we’ll have a lottery box at our booth where we’ll give away a fully-catered VIP table at Oktoberfest Brisbane 2018. If you win, you’ll get to enjoy authentic Bavarian hospitality at Australia’s largest German festival. You have to be in it to win it, so swing by our stand to enter. Brisbane will play host to more than 3,000 accountants and bookkeepers from all over the Asia Pacific, participating in two full days of learning from world-class speakers, an exhibition floor of more than 75 Xero integrated apps and strategic partners, and endless networking opportunities all around the Xero community. Xerocon Brisbane is no ordinary conference. It’s the world’s most beautiful and innovative event for cloud accounting leaders in Australia, NZ, and Asia. It’s a gathering of the best minds in the accounting community, and we’re very excited about our journey Down Under this September. If you’re visiting Brisbane for the first time for Xerocon, we highly recommend making the most of your down time. Why not try the following? Hit the beach in the middle of the city at Streets Beach. Explore Australia’s largest gallery of modern and contemporary art, the GoMA. Take a chocolate walking tour through the city. Or, if you’re really keen, climb Story Bridge! And when your feet are firmly back on the ground, don’t forget to visit us. Book your appointment with ApprovalMax here.